The ArchiMate modeling language is an Open Group standard used for visualizing, analyzing and describing different architecture domains, supporting IT planning and strategy in large enterprises. ABACUS is also certified for TOGAF from the Open Group, allowing users to combine ArchiMate modeling with the TOGAF Architecture Development Method. No customization or configuration necessary before or after delivery to support ArchiMate 3.0.1. Download ABACUS today and get started straight away. 100% ‘Out-of-the-box’ conformance with the standard including being the only tool demonstrating import and export of the full ArchiMate 3.0.1 XML Model Exchange File Format with 2 other tools. Architects can model across the layers and aspects of ArchiMate 3.0.1. These include Strategy, Business, Application, Technology, Physical and Implementation layers and Passive Structure, Behaviour, Active Structure and Motivation aspects. Easily extend or adapt ArchiMate and draw from over 100 other frameworks available in ABACUS. 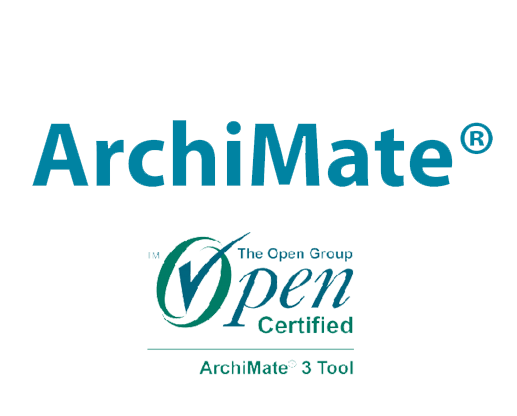 ArchiMate 3.0.1 rules validation engine: this provides high confidence levels that models are compliant with ArchiMate 3.0.1 across views such as diagrams, matrices, charts and catalogs. With the ABACUS validation engine users can runs automated checks of constraints in the model. The ability to combine ArchiMate with TOGAF: to create a rich architectural modeling environment. Users can define their own scope and start modeling with as much of the ArchiMate meta-model as they require. Customizable views and dashboards: architects can access viewpoints covering all of the ArchiMate 3.0.1 layers and aspects, and tailor them according to their preferences. Automatic diagram creation and an intuitive dynamic connector available in ABACUS also streamline view creation. Global collaboration across departments: geographically distributed teams can model efficiently and effectively on premise or in the cloud. Architects can produce deliverables quickly to support swift decision-making. Change and impact analysis: advanced impact analysis and multiple architecture trade-off analysis are available in ABACUS to inform recommendations. These techniques can be used as extensions to the ArchiMate 3.0.1 Gap and Plateau elements. Access to powerful analytics: algorithms available in ABACUS can be run against ArchiMate models to calculate metrics and KPIs and undertake what-if, scenario and trade-off analysis.